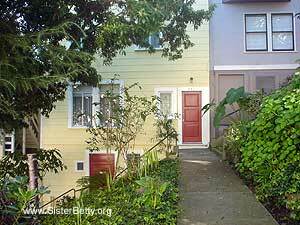 Located on the edge of Telegraph Hill and close to the famous Filbert Steps and Greenwich Street Stairs, the Vallejo Street Stairway ranks among the most beautiful stairways in San Francisco. 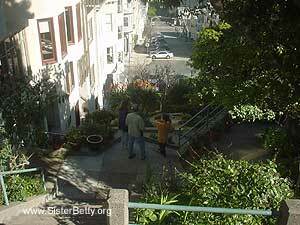 Both the stairs and the gardens around them are carefully maintained by the neighbors. 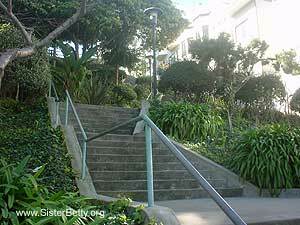 The Vallejo Street Stairway consists of three separate stairways running approximately parallel to each other. The central stairway is the widest and wanders through the surrounding gardens. 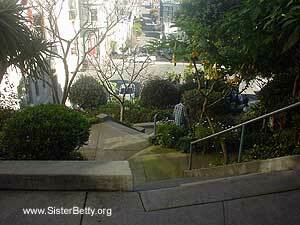 Two smaller stairways run along the side of the gardens straight up the hill. 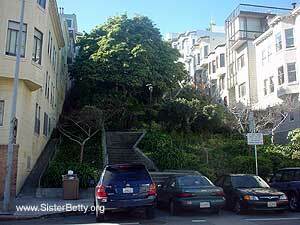 The smaller stairways are considerably narrower and steeper than the central stairs. 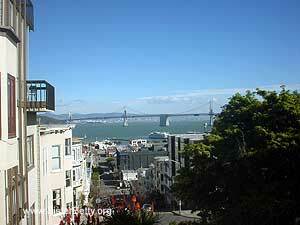 Three separate terraces provide an excellent view of the Bay Bridge, Treasure Island and Oakland. 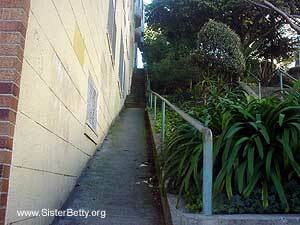 Stairways of San Francisco is a featured section of SisterBetty.org. Explore more here. 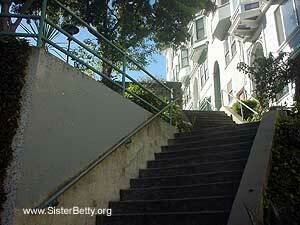 Click here for Sister Betty's favorite stairways. Have a favorite stairway? 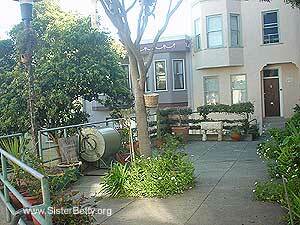 Know a hidden stairway Sister Betty has not yet found? 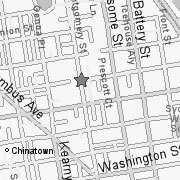 Click here to tell Sister Betty where it is.